SPACE, WHAT A STORY! 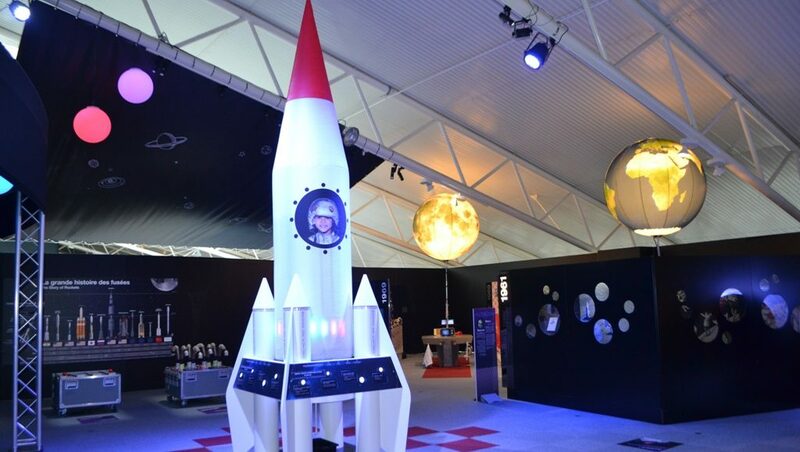 is an exhibition for everyone, children and adults alike, who can actively experience or relive the great moments in the history of Space exploration, steeped in the atmosphere and culture of the period, from the 1960s to the first decade of the 21st century. Through challenges, real-life situations and a ‘theatre of objects,’ the public accompanied by a mediator, can perform odd experiments and ‘re-enact’ famous scenes from the conquest of Space. A co-production between Cité de l’esapce and Cap Sciences.